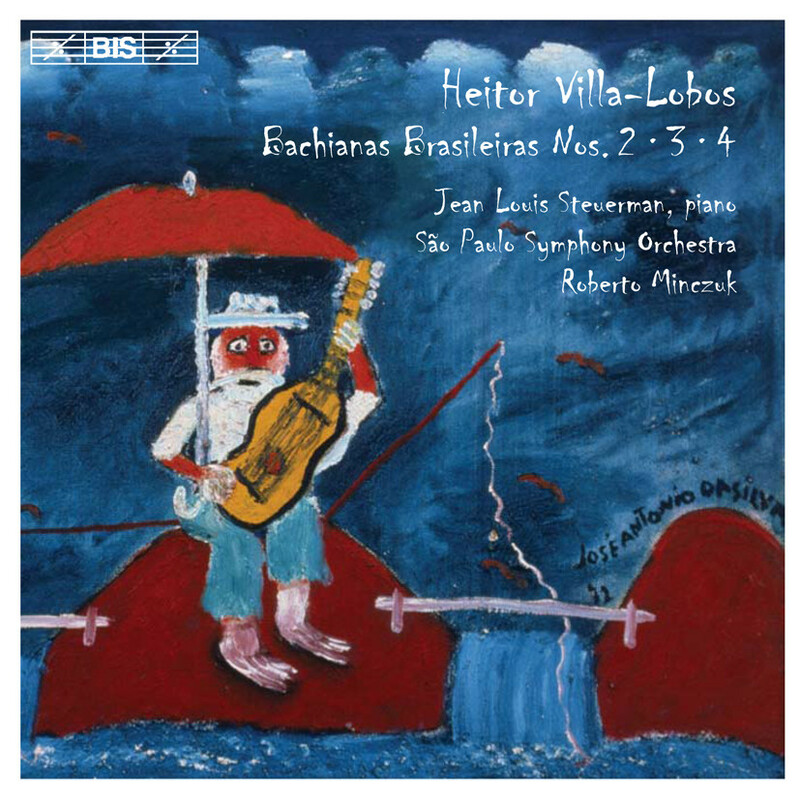 This is the first volume in a 3-CD series of what is often considered to be Heitor Villa-Lobos’ greatest masterpiece: the nine Bachianas Brasileiras. In 1930, when he embarked on this project, Villa-Lobos had recently returned from Paris, where he had been fêted in avant-garde circles. In Brazil he found himself in a new role: that of ‘official composer’ of the new, nationalistic regime – taking in hand matters of musical education and advising the authorities. 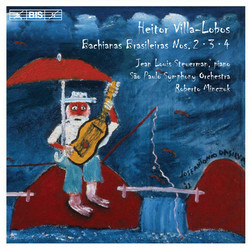 As implied by its title, the cycle explores the similarities that Villa-Lobos perceived between the counterpoint of J. S. Bach and the polyphonic nature of Brazilian folk music. The scoring is very varied – from the flute and bassoon duet of No. 6 to choir a cappella in No. 9. The composer also experimented with various alternatives as regards the instrumentation: for example No. 9 also exists in a version for strings, and Bachiana Brasileira No. 4 on the present disc was originally conceived for solo piano, and only later reworked for orchestra. These variants will all be included on the BIS discs, making them a very complete ‘complete set'! It is also one of the very few sets recorded with Brazilian musicians: the superb São Paulo Symphony Orchestra, which has met with great acclaim for their recordings of unjustly ignored works by Camargo Guarnieri, Francisco Braga and Francisco Mignone. The latter, BIS-CD-1420, was chosen as Disc of the Month by the web site Classics Today.com with the reviewer’s warm recommendation: ‘the most vibrant, colorful, rhythmically vital and virtuosic performances imaginable … supported at every point by state-of-the-art engineering.’ Brazilian conductor Roberto Minczuk, co-artistic director of the orchestra, and his compatriot Jean Louis Steuerman, soloist in Bachiana Brasileira No. 3, both appear for the first time on BIS but will return on future instalments in this series.